Chablis is a singular place. Its combination of deep stony soils and cool climate exists nowhere else on earth. These factors produce a unique wine — mineral and crisp, pure and clean. 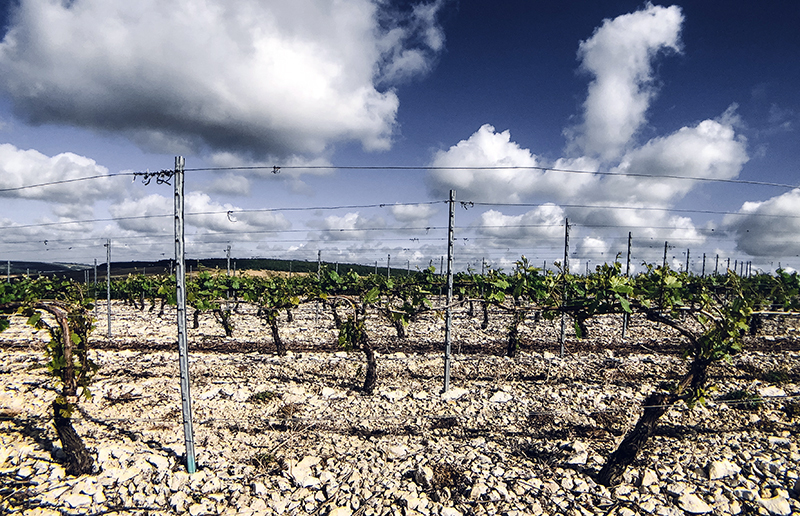 Our goal as importers is to find wines that reflect the place from which they come, and there is no better place to find such wines than Chablis. The traditional interpretation of Chablis shows little or no oak. In recent years, some vignerons have begun to oak their wines more aggressively. But winemaker Cyril Gautheron uses oak sparingly and carefully — when he thinks the wine doesn’t need it, he doesn’t use it. Today’s wine, the Chablis 1er cru “Vaucoupin” is pure, elegant, unoaked Chardonnay. Gautheron allows the stony soil to show through as delicate minerality. One taste and we think you’ll agree: a wine this good doesn’t need any help. We’ve just restocked on the 2016 Vaucoupin. It shows remarkable richness for a wine without oak — purity and elegance that is exceptional. The briny freshness of oysters (or a lemony-prepared fish) is a perfect foil for the brisk energy of the Vaucoupin. After the excellent but unusually soft 2015 vintage, Gautheron’s 2016s are a return to his regular form. This is pure, elegant, and remarkably long — it begins with flowers and fruit, and finishes (after a while) with freshness and minerality. The nose shows lemon rind and salt air; the mouth is long, tense, and full of energy. It’s hard to imagine a purer interpretation of the Chardonnay grape. We served this yesterday at a holiday party, and it performed beautifully — it matched a wide range of cheeses and was enjoyable on its own: humbly delicious.